Erik Prince, the founder of Blackwater military contractor, has proposed a plan to “humanely” stem the tide of migrants travelling through Libya in an attempt to reach the European Union (EU). His plan comes amid reports of terrible human rights abuses in the North African nation, including claims that Arab forces are selling black Africans in slave markets. 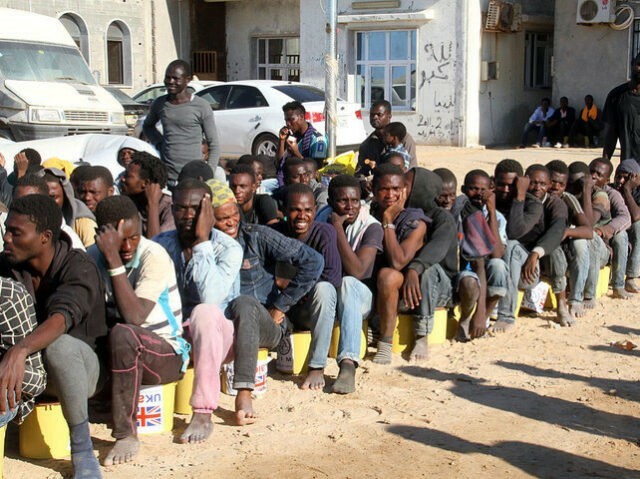 Mr. Prines wants to send professional forces from his Frontier Services Group over to stop, house, and “repatriate” hundreds of thousands of migrants travelling through Libya. He aims to stop migrants attempting the dangerous illegal crossing of the Mediterranean, which has seen thousands perishing on the trip since the migrant crisis began in 2015. Mr. Prince claims his plan will cost a “fraction” of the price the EU is spending on the boats currently picking up migrants close to the coast of Africa and bringing them to Italy. He explained how he aims to build three police bases and send 250 personnel to each to train and aid Libyan forces, similar to how his old company, Blackwater, did with the Afghan border police. He said that migrant would be treated well and overall the plan would be better for their wellbeing that the current situation, where they are encouraged to make an illegal journey aided by criminal gangs. “We would bring them to refugee camps in the bases, they will receive food and medical care and will be repatriated without ever arriving at the coast. With the route to Europe through Greece and Turkey closed off, Italy has been struggling as numbers crossing from Libya have surged. Some media reports have accused the Italian government of paying warlords to stem the numbers. Earlier this year, Libya’s Prime Minister called on the European Union (EU) to help his nation build an electrified fence along its open southern border to stop migrants.